Becoming a police officer is a highly competitive process. JobTestPrep helps you achieve your goal by providing the information you need to pass the exam. Familiarizing yourself with the IPMA-HR police tests will increase your chances of getting a high score on the police exam and progressing to the next stage of the process. International Public Management Association for Human Resources (IPMA-HR) is a Virginia-based company that provides entry-level police exams to various police departments throughout the U.S. Each department can select the exam that best fits its department and may also decide the passing score on the exam. Studying with our practice tests will increase your chances of receiving the score you need to pass the exam. The 100 and 200 series entry-level police tests include a Test Information Packet (TIP). The TIP was designed to assess your ability to learn, remember, and apply new information. The material inside the TIP is written and visual. You have 25 minutes to study the TIP. Once the 25 minutes are up, the TIP is collected and then the test booklet is handed out. The PO-EL 100 series was designed to assess whether a candidate possesses the basic abilities necessary to learn and perform to be a successful police officer. You have 1 hour and 45 minutes to complete the 100 multiple-choice questions in the test booklet. To further prepare for the exam, review the test breakdown found in the chart below. Abilitiy to Problem Solve and Use Logic These Sections are combined into one, consisting of 20 questions. *These sections are combined and found under the Verbal Ability section. The PO-EL 200-NC series was designed to assess whether a candidate possesses the basic abilities necessary to learn and perform successfully in the police academy and, more importantly, on the job. You have 1 hour and 45 minutes to complete the 100 multiple-choice questions in the test booklet. This series has both a cognitive and a non-cognitive component. The cognitive component asks questions based on information found in the TIP, thus measuring your ability to perform tasks required on a daily basis as an officer. 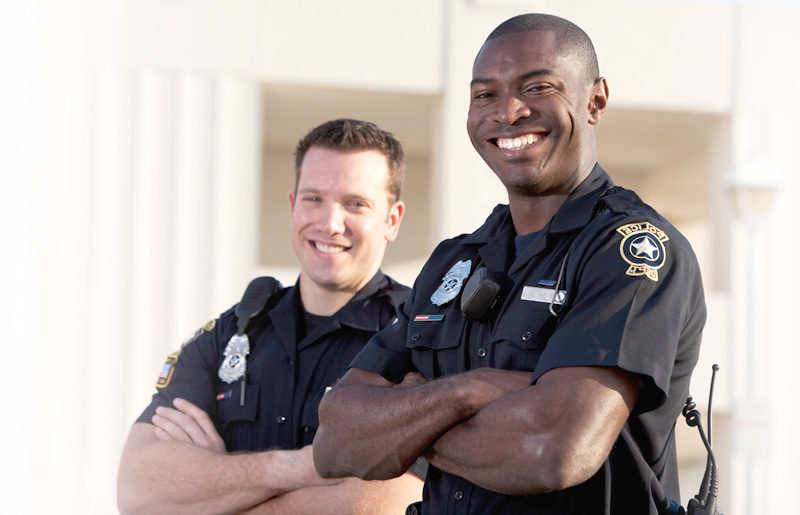 The non-cognitive component (NC) uses a Police Interest Questionnaire to assess a variety of personal traits consistent with success on the job. To prepare, review the chart below and start practicing with our custom-made practice packs. The PO-EL 300 series is a video-based test designed to assess the critical abilities of an entry-level police. You have three hours to complete the exam. The test is broken down into four sections: Roll Call Briefing, Training Session, Situational Judgment Scenarios, and Multiple-Choice Questions. During the Roll Call Briefing section of the test, you will watch and take notes on a video of a shift briefing. The briefing includes suspect photos and background information on recent incidents. You are then asked to answer questions to answer based on the information you received. This section is designed to assess your ability to observe, listen to, and remember information. This section lasts for 15 minutes. During the Training Session section of the test, you will watch a short training session, take notes, and answer questions. This section is designed to assess your ability to listen to, learn, and remember information. This section lasts for 15 minutes. In the Situational Judgment Scenarios section, 40 questions are presented through a series of short videos of actual police incidents. You are asked to observe and decide what action you should take. This section is designed to assess your ability to reason and solve problems. You have 1 hour and 50 minutes to complete this section. The last section contains 25 multiple-choice questions. These questions assess your reading comprehension skills and your ability to learn and problem solve. You have 40 minutes to complete this section. For a full test breakdown, refer to the chart below. JobTestPrep provides you with a complete test breakdown of all IPMA-HR police tests to prepare you for the exam. Familiarizing yourself with the test format will improve your score and better your chances of becoming a police officer. JobTestPrep offers online practice packs to make studying easy and ensure your success. IPMA-HR and other trademarks are the property of their respective trademark holders. None of the trademark holders are affiliated with JobTestPrep or this website.